good. 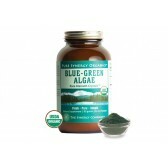 It dissolves well in water and has a good taste. I take it 3 times a day and I have to say I feel more energetic since I take it. Highly recommended. The powder version of Pure Radiance C is preferable. Apart from the financial convenience it also allows to optimize each individual serving according to the individual needs. 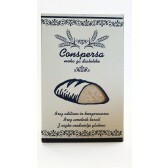 Really extraordinary product !!!! 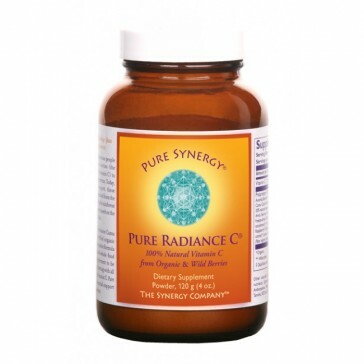 I used to get colds and sore throats ; since taking Pure Radiance C everything is gone within 2/3 days !!! 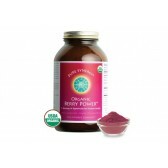 The most natural and organic wholefood vitamin C supplement! The best Vitamin C that I have ever taken. After years looking for a valid vitamin C supplement, I discovered Pure Radiance C.
I am suffering from oily skin and I immediately saw improvements on my face after just a month of! Now I can’t be without it and after some research I have not found anything similar (with the same degree of purity and quality) on the market. 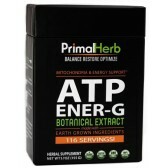 So the price fully justifies the high quality of thissupplement and I cannot find any flaw !!! Among the ones I have tried it is certainly number 1. It has been a month that I am using Pure Radiance C and I feel that that this product is delicate on the stomach and very effective. Its beneficial effects are felt relatively soon after starting the product and you can notice them even without being in the field. I personally love being able to take Vit C in the capsule form as well. I had tried a thousand kinds but this is the only vitamin C that is really effective on me while all the others supplements would give me heartburn. This one has a perfect absorption without any issues. The effects are felt after a week of use. 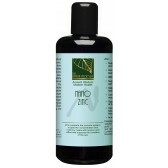 The skin becomes softer and brighter, it relaxes the muscles and lowers inflammation in the body. 1 capsule per day, taken preferably with a meal. 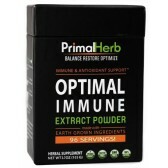 You can consume up to 3 capsules per day, or more to strengthen the immune system. 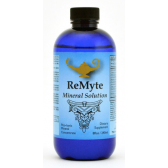 A bottle lasts up to 3 months (1 capsule daily). One capsule is 650mg and has 120mg of vitamin C, but can not be compared in the amount to ascorbic acid (vitamin c synthetic), because the natural vitamin C is better absorbed and is reinforced by bioflavonoids. Several hours are required for test completion. Plan to have close access to the bathroom throughout testing. 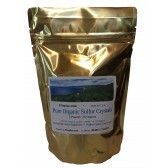 It is easier to do the test with the powdered form of Pure Radiance C (read below). 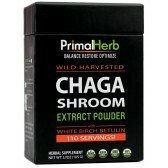 650mg three times per day (one quarter teaspoon) to be taken preferably with a meal. The package contains about 180 doses. Several hours are required for test completion. Plan to have close access to the bathroom throughout testing. It is easier to do the test with the powdered form of Pure Radiance C. The below dosages are adapted for Pure Radiance C, not for ascrobic acid. Start the dose on an empty stomach. Start taking 1/4 tsp of Vit C powder diluted in water or juice, every 15 minutes. If after 4-5 doses there is no diarrhea, start taking 1/2 tsp of Vit C powder. When you have repetitive loose bowel movements, your intestines are signaling that they have reached a critical tolerance level of Vit C absorption. Give your body a rest for a few days. You cannot overdose with vit C because diarrea is our natural way to avoid it. For the next week or so you will need to take 75% of the achieved dose per day, in divided doses. For example, if you began running to the bathroom after taking 10,000mg Vit C, then your daily dose for the next week should be 7500mg/day divided into 3 doses making it 2500mg/dose. You may need to repeat the Vit C flush test weekly or every other week. In due time your tolerance will decrease and you will require less dosage. .I take one table of vitamin C per day and in just a couple of months I noticed a significant increase in my energy. Although the powder version is undoubtedly more convenient as it allows to adjust the dosage, the capsule version is easier to use in every situation where it is not possible to have a glass with water or other liquid to mix it with. Convenient and immediate. Indisputable quality. The Vitamin C intake per capsule could be improved. The results have shown in both situations (though not immediately) in addition to a feeling of greater vitality and energy... Anyway, the product is of undoubted quality (no side effect to report on my side). If I must find a flaw that would be that the Vitamin C amount per capsule may be a bit higher. Synergy Company claims that our body is unable to assimilate more than 200 mg of vitamin C at a time (mg in exuberance would be discarded). So 160 mg of Vitamin C per capsule would be better, 180mg ideal. A quality product without any side effects and no heartburn. Perfect for me.